The social media universe can feel so broad and diverse! One day you have to schedule content, another day you’re asked to engage with audiences. And to top it all off, you have to consistently measure results to demonstrate growth. With so many different tasks piling up, how do you know which one to tackle first? To avoid confusion and stay organized, we’ve created this social media checklist for B2B marketers, highlighting the main tasks you should be focusing on a daily, weekly, monthly, and quarterly basis. While there’s no set formula for social media success, this is the checklist we use here at Oktopost to establish a high ROI. One of the most failed social media management tasks is replying in real-time. People actively comment, message, and mention your brand on social media, but sometimes it takes hours for your company to engage back. So, instead of pushing customers away, make it a top priority to respond to audience questions and feedback as soon as you get into work. That said, you’re not always equipped to handle every inbound message. Whether it’s due to lack of time or knowledge, your best bet is to assign social conversations to relevant team members, ensuring everyone is working together to deliver personal and timely follow-up. Social media is where 55% of B2B buyers search for information and 84% of CEO’s and VP’s make purchasing decisions, making it a crucial channel for distributing your content! A word of caution: posting the same, generic posts is a sure fire way of driving audiences away. 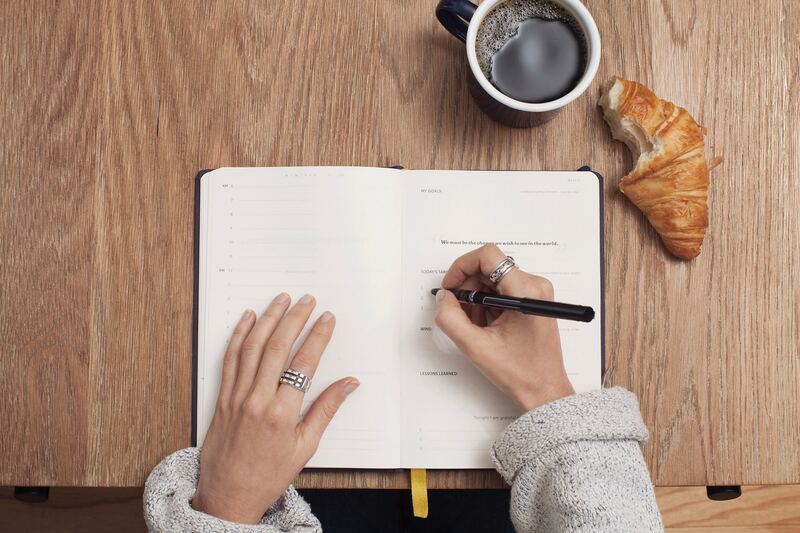 Every marketer hits a writing block every so often, but with the right combination of strategy, effort, and creativity, you can create fresh content, every day. Don’t use complex language – simple, clear, and unambiguous words are key to getting your posts noticed. For example, using the term ‘avoid’ instead of ‘circumnavigate’. Stick to future tense – it’s important to create a feeling of future ownership that gives readers something to hold onto immediately. For example, “this checklist will help you accomplish your goals” instead of “this checklist can help you accomplish your goals”. Don’t use weasel words – ‘weasel words’ give the impression that something big and significant has happened, when in reality, it’s quite meaningless. For example, saying “IBM does everything to help its employees succeed” versus “IBM guarantees its employees’ success”. Use an active voice – writing in passive voice makes the reader work harder to understand the meaning of a sentence. For example, “Mary posted on social media” uses an active voice, while “The social media post was posted by Mary” uses a passive voice. Notice the difference? Cut out unnecessary words – people don’t have time to read long texts, so cut to the chase by offering digestible content that’s emotive and impactful. Which post captures your attention? “Pick your social content wisely. It will dramatically boost engagement”. You know “that guy” who never scores a second date because he’s too self-absorbed? The one who’s always raving about his own success? Don’t be “that guy” on social media. Stick to the 60/30/10 rule by making sure that 30% of the content you post reflects the voice of industry leaders and peers, outside your organization. In doing so, you’ll offer more value to audiences by sparking relevant conversations, while positioning your company as a credible go-to source. It’ll also save you time! In fact, 57% of B2B marketers identify curation as a solution for producing content consistently. Regular curation makes it easy to increase your social presence without sacrificing quality of organic content. Many news aggregating platforms like Medium and Feedly offer a one-stop shop for quickly discovering, following, and sharing content that aligns with your audience. Don’t forget to give credit to others for their work – a quick mention (@) not only notifies the mentioned parties, it also gets the immediate attention of their community. Executing a cohesive social media strategy that aligns with your B2B goals, requires an editorial calendar that can help you visualize when and where content will go out. Constructing the calendar in the first place can be tricky but once implemented, it’ll save you time and guarantee increased exposure. Remember: different networks have different lifespans. For some, you won’t need to post as regularly as others. With jam-packed schedules, it’s only natural that content sharing will fall through the cracks. So how do you encourage your peers to willingly share more content? 69% of employees would work harder if their efforts were better appreciated. A well-planned incentive strategy is a no-brainer approach to improving performance, participation, and effort. Since different employees will be extrinsically motivated by different rewards, try brainstorming effective strategies along with HR or by asking employees themselves. Monetary rewards: empower employees through tangible rewards like gift vouchers, movie tickets, or cash bonuses. Fun and wellness: most employees just want to have fun! Taking them out for lunch or organizing team bonding activities like laser tag allow employees to unwind and relax with their peers. Employee recognition: we all want to be appreciated for our hard work and dedication. Putting a spotlight on specific employees is a great way to boost personal achievement. Put your Sherlock Holmes cap on because you’re about to start investigating the competition! Monitoring competitor activity will not only alert you to successes and failures but will also reveal any content you are missing. With countless messages sent each day, you need a social listening tool to help you surface the chatter that really matters. Instead of logging into each network, you’ll be able to create customized feeds that track keywords, mentions, and company pages in real-time. Marketing is a dynamic and fast-paced industry. There’s always something new coming up. You’ll be seeing less public content like posts from businesses, brands, and media. With so many feature releases, algorithm changes, and new trends being set, how do you keep up with it all and still have time to do your job effectively? Set up Facebook, Twitter, and LinkedIn Alerts: Turn on email notifications from the various networks so you’re always in sync with their latest product updates. Get Zest.is on your Chrome Tab: Zest is an excellent place to share and discover stellar marketing content. The content is moderated by humans and suggested by like-minded marketers, so you’ll always be gaining access to high-quality articles. Join social media groups and lists: There are plenty of groups and lists that offer the opportunity to share your ideas, gain insights from other marketing leaders, and answer questions that you’re an expert on. Attend conferences: Despite all the information available online, nothing beats human-to-human contact. In-person events are ideal for broadening your skill-set, learning new technologies, and inspiring your content ideas. Listen to podcasts: On your way to work, catch up on some of your favorite podcasts. We’re currently listening to ‘The Science of Social Media’, which provides social media stories, insights, and inspiration every Monday. Check it out! You know those individuals who get cited in every article and invited to every conference? We call them “thought leaders”. As a social media manager trying to build up their personal brand, it’s important to mingle with the right people. But how do you establish a relationship with thought leaders? First and foremost, connect with them on LinkedIn. Then, start engaging with their content by liking, sharing, and commenting on their posts. Once you’ve established some common ground (you got them to notice you and know what they’re interested in), write down some creative ideas for co-marketing opportunities and hit them up with a private message. Being a lone wolf isn’t the way to succeed. Request the help of your like-minded pack and bounce ideas off of each other to deliver unique and creative content. A great place to start is to organize regular collaborative meetings where all teams across that company can sit together to offer knowledge and insights that benefit marketing. For instance, customer-facing employees can share frequently-asked questions by prospects and customers. Using these insights, you’ll be able to craft content of great relevance to your target audience. For most B2B marketers, it’s not always enough to distribute content through your own blog, email, and social media channels. It takes a more holistic content marketing approach to drive website traffic and grow your audience reach. Branching out to other communities is the optimal way to get your content organically exposed. Platforms like Zest.is, Medium, GrowthHackers, and Inbound.org all offer a well-established, global audience that you can tap into – and the best part is, they’re free!. Keep in mind though, that most of these sites (namely, Medium, GrowthHackers, and Inbound.org) thrive on the idea of a “community”, meaning, you can’t share your content and leave. The only way to get your articles noticed is by engaging with other writers, following topics and discussion groups, and actively liking, sharing, and commenting on other content. A lot of time and effort has gone into crafting your content, only to be brushed aside after one promotion. So the next time you run out of content ideas, don’t fret! Revamp some of your old posts by giving them a brand new look and feel. For example, turn your top-trending blog post into a 60-second video, or a customer survey into an infographic. Using different formats can present information in a whole new light while appealing to a completely different audience. Are your reaching the right audiences? Are you taking the time to generate content that sticks? If yes, congratulations! You’ve got a stellar social media strategy. If the answer is no, then looks like you haven’t mastered the art and science behind social media content. Most B2B content circulating our search engines today is seemingly stale. People tend to skim through dull text, only to close the browser a few seconds later. It’s a saturated world out there my friend, and the only way to drive awareness, let alone build engagement, is by adopting out-of-the-box techniques. The good news is: there’s no need to reinvent the wheel. Sometimes it’s about adopting a method that already works for another industry – like B2C. You see, leading consumer brands like Nike, Coca-Cola, Go-Pro, and Adidas already understand the power of UGC content, live contests, and polls in getting people to talk about their product and actively engage with their content. With social media promotion platforms like Votigo, you can easily create highly engaging interactive marketing campaigns that’ll be sure to acquire and engage users. Say you have a webinar coming up – instead of running the same old promotion filled with dry posts, create an interactive quiz where you promise to reveal the answers on the webinar. Let’s be honest. As a social media manager, you were hired to create short and snappy posts, not long-form content. But every once in a while it’s refreshing to break out of your comfort zone and explore new areas of marketing. The beauty of blog writing is that there is no right or wrong. As long as its grammatically coherent and relevant to your audience, there’s plenty of room to get creative. Not only is it an opportunity to let your personality shine, it also serves as a huge stepping stone in your marketing career. Social media is a great place to create hype around your next big event or webinar. The earlier you start promoting, the greater your chances of increasing awareness and participation. But where to begin? Create some graphics: It’s a small investment that can make a big impact. Using consistent graphics across social media covers, ads, and social posts is crucial for getting your event recognized. Come up with a custom hashtag: Make it easier for people to follow your event updates with a short and memorable hashtag. Host a contest or giveaway: People love free things! So using that custom hashtag, host different contests on Instagram, Facebook, LinkedIn (or wherever it may be) to encourage participation and get people invested in your event. After an event, don’t just end all activities! Create recap posts, capturing the best vibes and key takeaways. Being a social media manager is a 24/7 job, yet somehow your role tends to be overlooked – or worst, not be taken seriously by upper management. How do you get around that? Prove yourself with this magic formula: test, measure, analyze, report – and if it works – repeat! Soon enough you’ll be able to demonstrate the ROI of social media – and yourself. Without taking the time to analyze the performance of your activity, all social media activity is a shot in the dark. It’s like launching a webinar without tracking the number of registrants. When it comes to building a rock-solid social media strategy, you need to understand what’s working, what’s not, and what can be improved. Engagement metrics: likes, comments, and clicks are all important engagement metrics that you should pay attention to. They allow you to understand which content was meaningful enough to elicit a response and whether it provided actual value to your audience. Conversion metrics: by tracking a lead’s journey from the moment they were exposed to your social media posts, to the point they filled out a web form and became a prospect, you can gain a more accurate picture of how effective your social media campaigns are and how much revenue they’re generating. When it comes to goal-setting, you want to ask yourself the following question: what’s my manager looking for? Are you expected to increase followership by 10%? Or double conversion rates by Q2? Specific – your goal should be clear, otherwise, you won’t be able to focus your efforts effectively. Start by answering the five ‘W’s’ – what do I want to accomplish, why is this goal important, who is involved, where is it located, which resources are needed? Measurable – being able to say “this campaign brought X amount of conversions” is crucial for showing progress. Without quantifiable data, you can’t possibly envision what “success” looks like. Attainable – it’s great to be ambitious and strive for big results, but if these results are not realistic in terms of financial constraints, resources, and time, then you’ll never be able to accomplish them. Consider using previously overlooked opportunities to bring you closer to your goal. Relevant – your social media goal must align with the company’s broader outcomes. Consider: if it is related to the companies marketing strategy? If it’s worthwhile? Time-bound – how many times have you heard your manager say “I need this done ASAP”. Unfortunately, they need to be more specific for you to complete a certain task. In fact, every goal needs a deadline – a date that you can work towards. It’ll help you prioritize and prevent trivial tasks from getting in the way of your important long-term goals. The social strategy is the bread and butter of your content creation and management. But without regular reviews, it’s easy to get off track. Every quarter, make sure to revisit your strategy to determine if efforts align with goals. Content performance: identify your best performing content to understand all the micro-elements that make it successful. For example, which hashtags are working best? What keywords resonate better with audiences? Which topics are trending and driving the most clicks? Optimal posting times: which time of day does content gain more traction – weekends, weekdays? Morning, lunchtime, or night? Audience growth: Drilling down to the core of who your audience is can help you better tailor the language, tone, and visuals to the specific individuals. If your insights don’t match up to your initial goals, then it’s a good wake up call to rethink your KPI’s. Much like the ways trees retain their leaves all year round, evergreen content is always relevant, regardless of its season or trend. These aren’t the promotional pieces or press releases you have up your sleeve, it’s more related to content that offers valuable tips and tricks. When you consider how much time and effort has gone into creating each a piece of content, it seems like a waste to only use it once. Don’t you think? So, make smart content decisions. Find a way to re-use and re-post evergreen content that you deem to be relevant. We all know that first impressions have a lasting effect. When a prospect clicks on your company profile, the first thing they see is your cover photo. Updating it frequently is a reflection of your constantly-evolving company identity and culture. Anytime you have something new to celebrate – like an event, product launch, or holiday spirit – make sure your cover photo exemplifies this. If you don’t have an in-house graphic designer or outsourcing one is an issue, you can easily turn to Canva – it’s got plenty of free templates which you can quickly edit to suit your design language! Showing always goes further than telling. I cannot stress this point enough. As the advocate of social media in your organization, it’s important to highlight its value to directors and executives. Unfortunately, likes, shares, and followers aren’t going to be sufficient to impress your upper-level management. What these guys are interested in understanding is the impact on leads, sales pipeline, and customer growth. So move beyond the vanity metrics and focus on the results that matter and resonate with those individuals.